Over and over again Jesus drew attention to the fact that he was not accepted by the religious people of his time. Luke 5 paints a very vivid picture of two different groups of people interaction with him. Matthew was not the kind of guy you would expect to be called by Jesus but he didn’t hesitate to leave everything and follow him. Matthew didn’t hide his new found faith rather he threw a party for his friends to meet Jesus. The religious people were confused by Jesus’ choice of Matthew and why he would want to spend time with Matthew’s friends. Jesus is quick to let the religious leaders know that he came to save anyone who was willing to admit their need for him. I’m not sure about you but I don’t find myself associating with the outcasts like Matthew. In fact, most would describe me as a religious rather than an outcast of society. BUT I am not religious, I am a forgiven sinner. This story goes on to tell how Jesus was asked by the religious leaders, “Why do you eat and drink with tax collectors and sinners?”31 Jesus answered them, “It is not the healthy who need a doctor, but the sick. 32 I have not come to call the righteous, but sinners to repentance.” Luke 5: 30-32. Romans 3:23 tells us “For everyone has sinned; we all fall short of God’s glorious standard.” Even those religious leaders have fallen short. The sad part is they were not willing to admit it in order to find the lifesaving repentance Jesus had to offer. I am challenged by this recount of Matthew’s calling. I am especially challenged to tell others about how I met my savior and offer them that same forgiveness. How likely of a disciple are you? 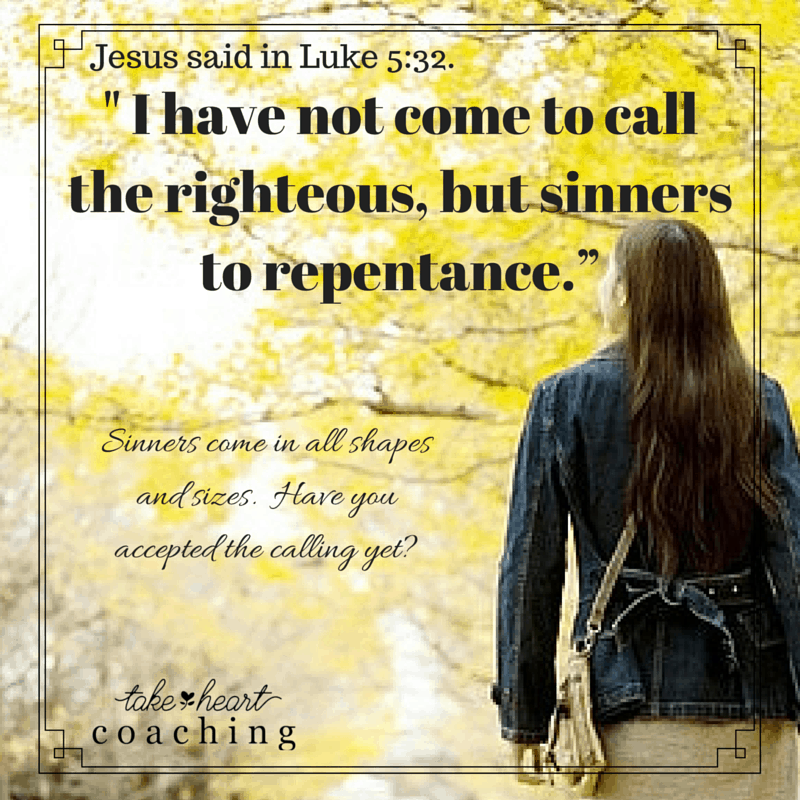 Have you accepted the calling of Jesus to follow Him? What do you do to share the truth of Jesus’ forgiveness with others? Originally written for the “Come with Me” Book Chat & Facebook Community. Without God life is chaos. I know you have heard a sermon on Proverbs 29:18, we all have. Did you know that there is a second part to this verse? My pastor, Cody Busby, did a great job of preaching on the full verse this morning. The vision has to come from the Word of God in order for there to be salvation. The blessing of hearing and living by the word is the part we often overlook. 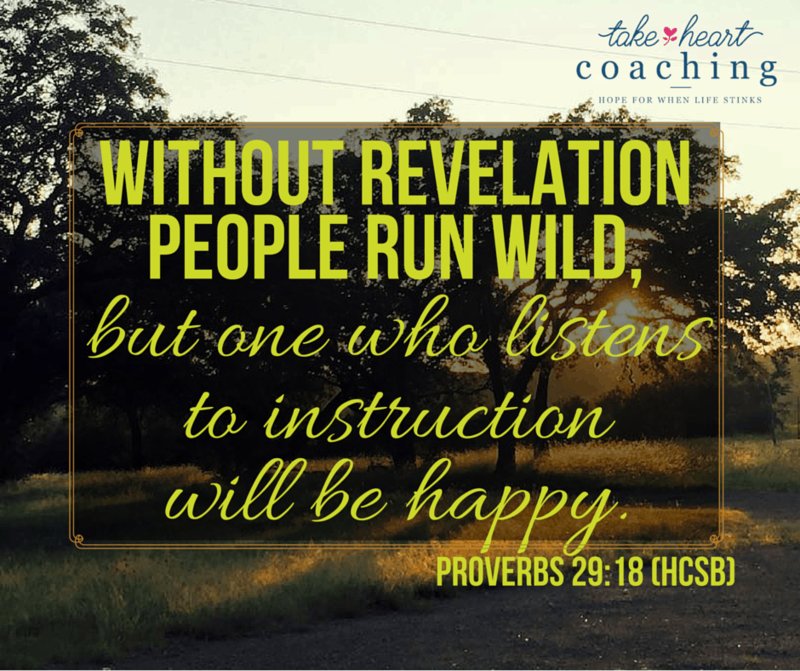 We all want the happy part but are we willing to be faithful to do what the word instructs us to? Cody ended his sermon with a challenge that really struck a cord in my heart. Read the following two statements and fill in the blanks honestly. The obvious answers come from this verse…….. what are the answers that come to your heart and mind? Without ________ life is chaos. With God life is ____________. Here are a few of my honest answers. Without God life is chaos. Without purpose life is chaos. Without my farmer life is chaos. Without family life is chaos. Without money life is chaos. Without a home life is chaos. With God life is blessed. With God life is doable. With God life is worth living. With God life is still hard. With God life is joyful. With God life is fulfilling. How would you fill in the blanks of these statements? How is your soul? Are you in need of wisdom? I find wisdom when I take the time to get alone with Lord and really listen. I read the Word daily but I don’t always remember to take the time to listen. James 1:5 reminds us that God has wisdom for those who lack it when we ask for it. Hearing the Lord speak wisdom quietly to my heart always brings hope. I love finding scripture that puts words to the truth of an experience I have had with the Lord. Knowing that wisdom from the Lord feeds our soul and gives us the hope for the future that we need in the middle of the changing season of life. Transitions in life are very difficult and knowing this truth can help you hold to the hope only God can provide. Can you think of a time when the Lord gave you the wisdom you needed?